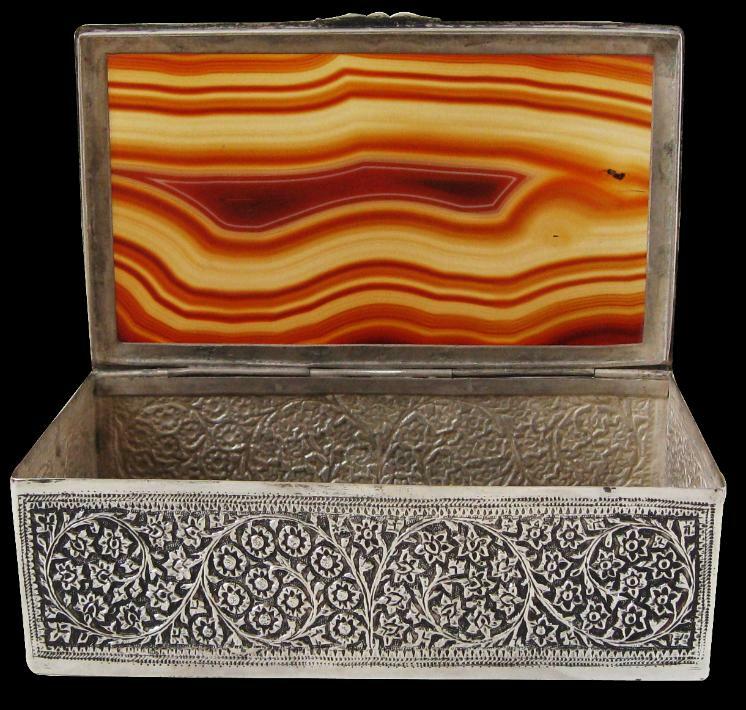 This good-sized silver box from Kashmir has a hinged lid that is inset with a single sheet of banded brown and white agate or chalcedony. 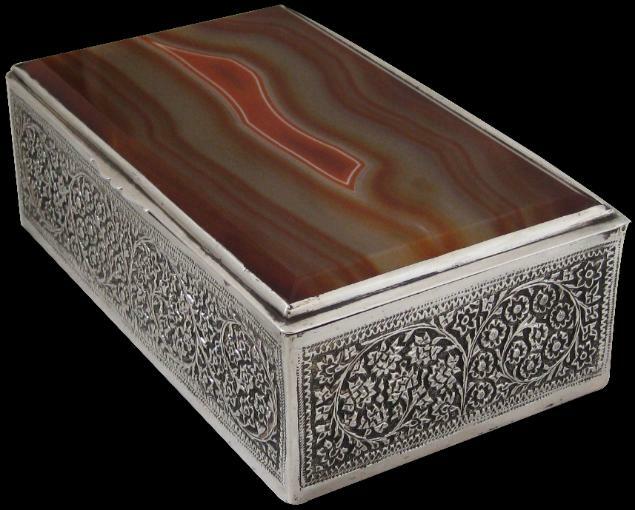 The sheet of agate has been finely polished and the edges bevelled. Each of the four sides of the box are of thin sheet silver that has been chased with a tree-of-life motif and embellished with the coriander flower motif that often appears on old Kashmiri silver. The lid closes firmly and tightly. 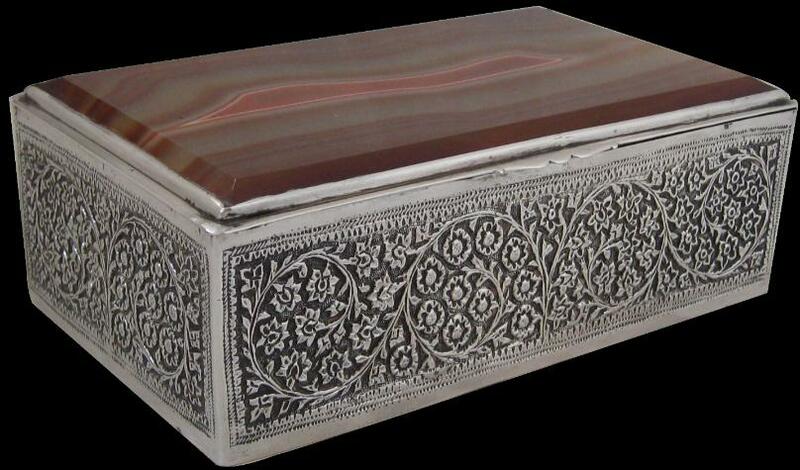 Boxes of almost identical size and form with similar large sheets of agate were produced by Sino-Thai craftsmen in Bangkok in the nineteenth century. The silver sides were decorated with Thai floral motifs and often were gilded. Such boxes in Thailand were used to hold betel.